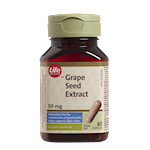 Life Brand Grape Seed Extract is made exclusively from fresh, non-GMO grape seeds separated during juice production. Grape seed extract is a rich source of polyphenols, powerful plant antioxidants that help the body fight the damaging effects of free radicals to maintain good health, as well as supporting night vision. 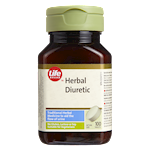 Use as antioxidant for the maintenance of good health. 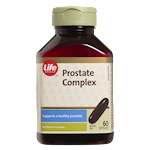 This product contains 1.8 calories and 13 mg of sodium per capsule. No gluten, lactose, soy, yeast, preservatives, artificial flavours or colours. 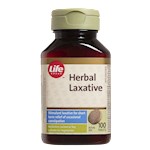 Adults: As an antioxidant: Take 1 capsule daily. For night vision: Take 2 capsules 3 times daily or as directed by a health care practitioner. 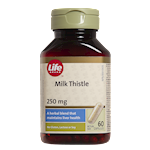 Keep out of reach of children.<br/>Consult a physician prior to use if you are taking blood thinners.<br/>Do not use during pregnancy or breastfeeding.